It’s been a strained twelve years since everyone’s favorite felt misfits played the music, lit the lights or set foot on the big screen. Purchased by Disney in 2004, the Muppets have spent most of the aughties laying low, popping up in the occasional web series or comic book. While Jim Henson’s beloved creations have stayed out of the public eye for a decade plus, the public eye never quit looking for the Muppets. So it’s with a sigh of relief that a gaggle of bawdy comedians have resurrected Kermit, Miss Piggy and the gang in a candid love letter to an American comedy institution. 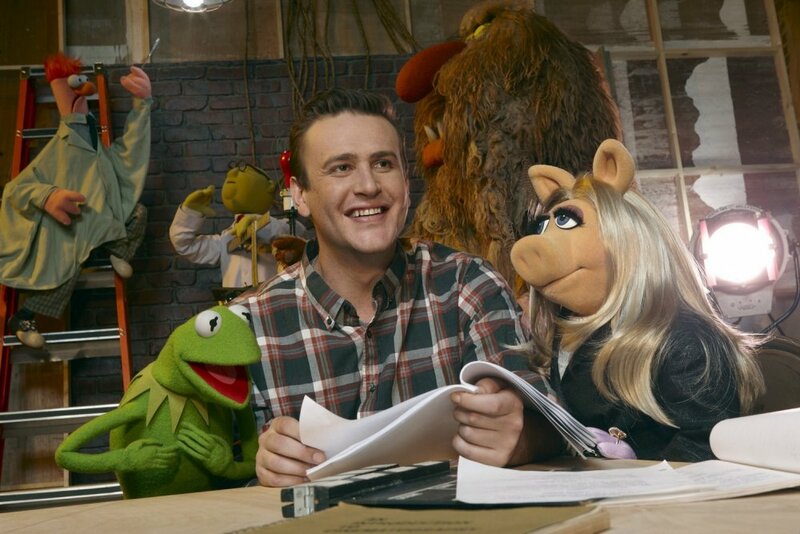 The plot follows Muppet super fans Gary (Jason Segel) and his brother Walter (voiced by Peter Linz) as they embark on a trip to visit their childhood heroes in Hollywood. Along with Gary’s girlfriend Mary (a glowing Amy Adams, who looks as if she has just stepped out of a Norman Rockwell painting), the trio tours the dilapidated remains of the Muppet Theater. Wandering the cobwebbed halls, Walter overhears smarmy businessman Tex Richman (Chris Cooper) explain his plans to demolish the hall for untapped oil if the venue’s previous owners can’t raise $10 million. This kitschy exposition allows Gary, Mary and Walter to reestablish the histrionic Muppet personas one by one until the gang bands together to perform a telethon special to save its old haunts. Admittedly, The Muppets is one of the most literal examples of a film whose marketing goals and content are virtually inseparable. Segel had been dropping hints for years that he wanted to take up the franchise baton dropped after Muppets in Space in 1999. His starring role in Forgetting Sarah Marshall not only saw the portly actor try his hand at a some humorous puppetry, but also bang out the Muppet theme song on the ivories. Keeping things accessible for the kids while waxing nostalgic for Mom and Dad, Segal and Flight of the Conchords director James Bobin aim to make their yesteryear icons sing and dance for a new generation. Even though it’s more of a reintroduction than a relaunch, this approach ruffled feathers in production. Frank Oz, director of The Muppets Take Manhattan and the original puppeteer behind Piggy and Fozzie Bear, dismissed the script as disrespectful to its characters. Even Steve Whitmire, the man who currently helps Kermit find his rainbow connection, allegedly wanted his name removed from final credits. Luckily, these fears are about as substantial as one of Fozzie’s airborne banana cream pies. The filmmakers’ approach overflows with the same adoration as their characters on screen. A wistfully placed camera pan on a wall adorned with vintage banjos and memorabilia carries with it as much emotion as the kinetic dance numbers in the gratifying finale. Even modern touches like a hilarious barbershop cover of Nirvana’s “Smells Like Teen Spirit” embody the original show’s subversive zaniness. That’s not to say these modern touches leave everything for the better. A suffocating number of cameos wind throughout The Muppets to the point of distraction. For every subtle Leslie Feist or Alan Arkin sighting, there’s a forced Selena Gomez or Neil Patrick Harris bit. Kermit even admits overkill when he can’t remember the name of Rico Rodriguez, visiting from Modern Family. This celebrity padding seems intent on convincing the audience of the Muppets’ relevancy but comes at the cost of more screen time for Kermit and company. Absentees Bean Bunny, Robin or the Fraggles would have at least been worth the price of one Henry Cavill. These are small criticisms in the bigger picture, though. Segel and Bobin have succeeded wildly in crafting a loving spectacle deserving of Jim Henson’s treasured legacy. Even balcony critics Waldorf and Statler would have a hard time faulting this Wonkaful delight.